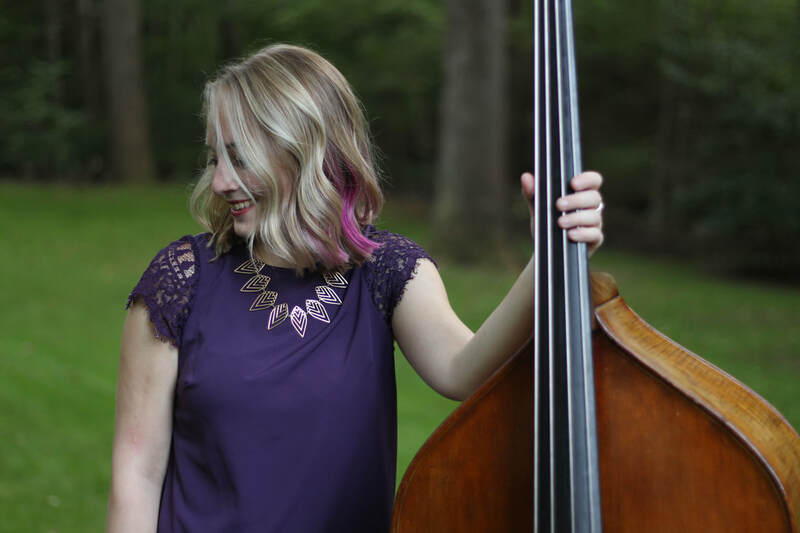 Wesley Thompson is a graduate of the Peabody Conservatory of the Johns Hopkins University where she received a degree in Double Bass performance and Music Ed certification studying under NSO bassist Jeffrey Weisner and Harlan Parker, Peabody Youth Orchestra and Peabody Wind Ensemble conductor. She is the conductor of the Baltimore Symphony Youth Orchestra String Orchestra, is the orchestra director at Sudbrook Magnet Middle School in Baltimore County, and maintains a substantial private double bass studio in the Baltimore area. Along with teaching full time during the year, Ms. Thompson is also the Executive Director of Bass Works and faculty and co-founder of the Basstravaganza Camp during the summer. Ms. Thompson is also proud to the Managing Director of The Evolution Contemporary Music Series in Baltimore. When she’s not teaching or performing, Ms. Thompson loves to pursue her favorite hobby, baking for her friends and family.